Being alive in the books is no longer a guarantee that your favorite character will live in the show. Warning: This post may contain spoilers from Game of Thrones and A Song of Ice and Fire. And you thought George R.R. Martin and his books were ruthless. In an interview at the Writers Guild Awards Saturday night, Martin, who was up for two awards for Game of Thrones, divulged a few small details about what fans can expect in the fifth season. The biggest reveal was the fact that, to the dismay of purist book fans, the show will kill characters who are still breathing in A Song of Ice and Fire. It’s not the first time that Martin has mentioned that the showrunners are even crueller than he is when it comes to deciding which characters live and die on the show. He last said as much on Conan in 2013, telling Conan O’Brien that “there are at least four characters who are dead in the TV show who are alive in the books still.” That was toward the end of the show’s third season. 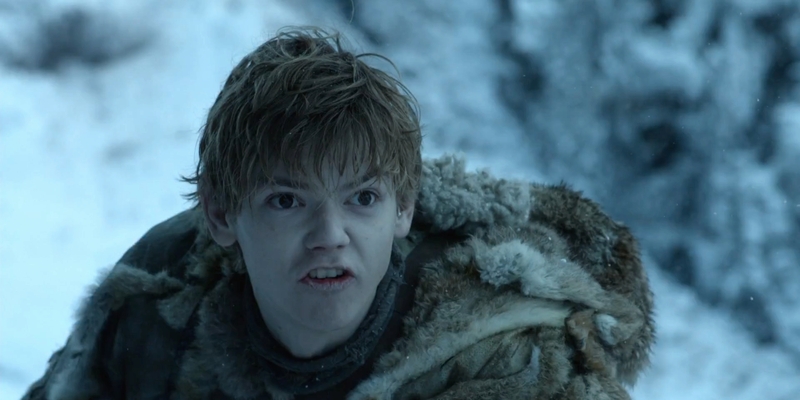 The fourth season alone featured at least three deaths that have yet to happen in the show: Pyp and Grenn, two brothers of the Night’s Watch who are still at Jon Snow’s side in ASOIAF, and Jojen Reed (although his fate has been debated by fans). Talisa, Robb Stark’s wife in the show, died at the Red Wedding, while her book counterpart, Jeyne Westerling, is still alive, having wisely stayed away from the Freys. Benioff and Weiss have a rough idea of how Martin’s series ends, so although the show may end differently than the books, they will likely have some common threads. The big players will probably still be safe—for now—but the same can’t be said for some major secondary or tertiary characters who have lesser roles to play but are still important, like Missandei, Grey Worm, Davos Seaworth, or Bronn. The deaths Martin referenced could also be characters we’re not even considering right now. This latest twist in book–TV divergences saps the advantage that book readers have over future on-screen plotlines, leaving them in the same place as the show viewers: unaware and afraid of what will happen next.